Discussion in 'PowerPC Macs' started by 128keaton, Jul 21, 2014. Don't worry Gavin, I'm not taking over your territory. Hello MacRumors, I'd like to introduce you guys to archhive. The vision behind archhive is a software archive with local download links. Other archives require special statuses, don't load on older browsers, or have many dead links. On archhive, you can download or request software anonymously. Since it is written in simple HTML, it loads quickly on old machines, plus all the software is hosted locally on the server. Right now, we have about five pieces of software, please request more! If you'd like to see the current state of the page, go here. Make sure you put in place a way for developers to request removal of their software if they want it removed from your site. I'll note in the description to use the feedback button for that. Thanks Intell! So is this going to be an archive of 68k software? Yes, and maybe some slightly modern stuff, just as a secondary mirror for Gavin's website, since he likes backups . There is a file list, button on the bottom. We will accept viruses as history now too. 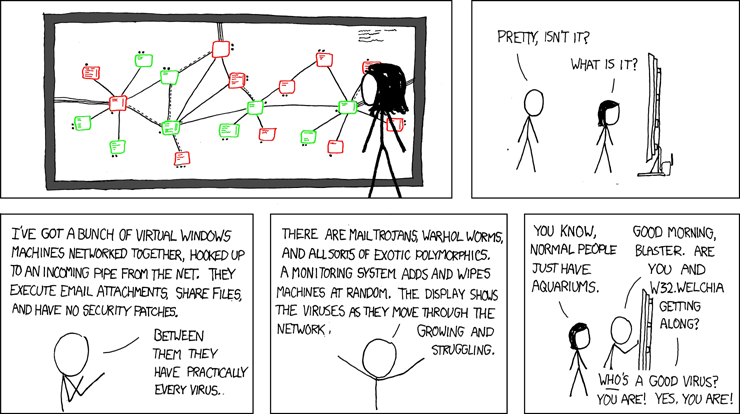 Hahaha, the "Other" > "Viruses" made me laugh. Now that is pretty funny. XCKD for the win. Plus, a virus aquarium exists. Guys, I downloaded the entire Michigan archive. Oops, thanks wget . Thank god its only 1.37 GB.